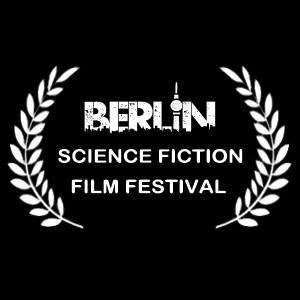 When I first heard about the Berlin Sci-Fi Filmfest back in June, I posted about it because, for the first time that I was aware of, an international film festival was featuring a category specifically for FAN FILMS! I suggested to Mark Largent that he might want to enter Prelude to Ax’d-We-Are. After all, it was just 15 bucks. 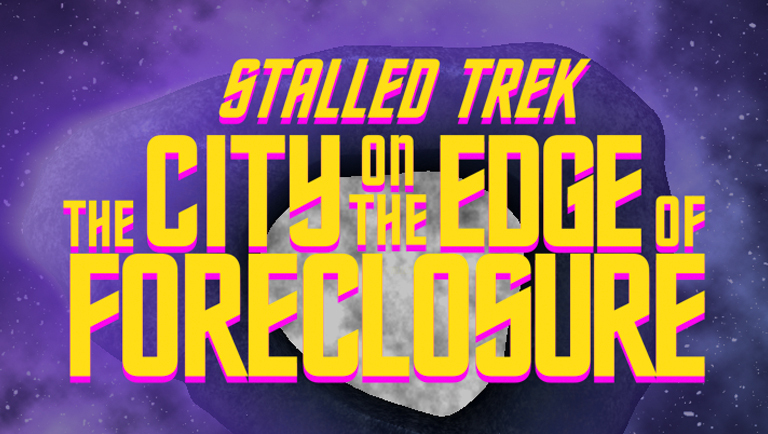 Other Trek fan films were also entered—including the excellent Chance Encounter, Starship Republic – “Serpent of Yesterday”, and Survivors—and we figured we might have a shot…maybe. There were also three Star Wars fan films (one from the UK and another from France), a Blade Runner fan film out of South Africa, and a horror movie spoof. 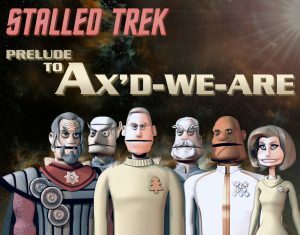 And then we saw that Prelude to Axanar had been entered. Oh well, we thought, there goes our chance to win. (Prelude is pretty much a juggernaut.) But at least audiences would be able to watch both the parody and the original it was based on. We actually made it to the semi-final round, along with Tears in the Rain (the South African Blade Runner fan film with some great acting), The Secret of Tatooine (all in French with awesome visual effects), and of course, Prelude to Axanar. With competition like that, we figured that “semi-finalist” was as far as we’d get. We were wrong. We won BEST FAN FILM!!!! Mark and I thought it was a typo! 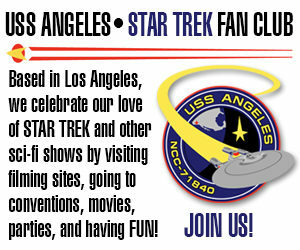 But no, there is was up on their website with our poster image. “I feel like there’s all these guys in my class who studied for months to pass the exam and all I did was cram at the last minute and ace it!” Mark told me over the phone. So Mark and I, co-writers and co-producers, can now also call ourselves winners of an international sci-fi film festival competition. And that is totally cool! Thanks for letting me share that news with you.